Use the links below to help you fill in your student sheet. To the right is the file for the powerpoint. Click on it please to answer questions 1-5. CLICK HERE TO ACCESS SURVEY! How can you use a MICROSCOPE to study cells? 1. Identify the parts of a microscope. 3. HOMEWORK: Due 9/21-Be able to know what basic steps you need to do to see something under a microscope. 2. What do the parts of a microscope DO? Fill in the functions of each part on your note-sheet. The links below will help you know what the FUNCTIONS of the parts are. 3. CAN YOU APPLY WHAT YOU LEARNED? You are a PHENOMENON! In science, we constantly conduct experiments to try to explain phenomena that we see or observe. In this assignment , you will be developing a model to represent yourself. You will then explain, using evidence from your model, how your model represents you. You have 3 days in class to work on this assignment. Once you complete your model, you will insert it into a presentation slide file that compiles all the other students' explanations and models from your class. Go to https://www.androidify.com/en/#/ to create an animated gif of yourself. Try to impress in animation and color with all of the options available to you, your true animated self. Save the image to your Google Drive and insert it in a BLANK SLIDE with the presentation I shared with you . ("MODELING OURSELVES"
Complete your document by writing a paragraph that explains why you chose each item for your animated gif and how your choices express your personality. As we went over in class, explanation of your model , using EVIDENCE makes it more meaningful. Please include : 3 pieces of evidence and 2 limitations of your model in your explanation. Have fun, be creative, and save your creation before the end of the period! The site below is what you will need to access. CLICK DOWNLOAD. 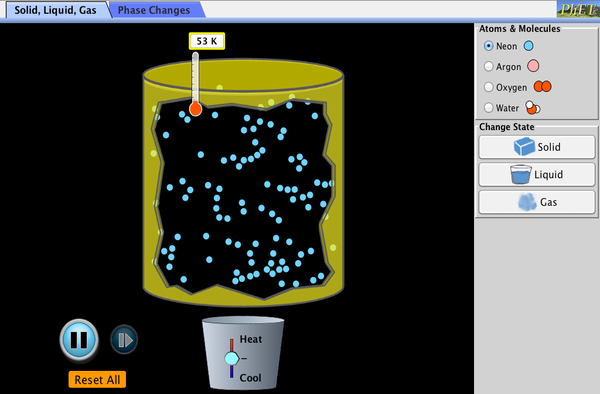 ("STATES OF MATTER BASICS"
-YOU WILL SEE THE TAB downloaded using Chrome. -Click on the run tab and allow this program to launch. ( you may get a warning but allow the download and run -this is an educational simulation, not a virus! -If the Blue button method does not work, TRY THE 2ND BLUE BUTTON,OR click on the embedded program below it. The links below are the 3 sites to visit to complete today's assignment . Remember to leave a comment after completing the third task by clicking on the comment icon on the post. CLICK on the BLUE BUTTON BELOW to get to the GAMING of photosynthesis and Respiration and see how these processes relate! How does Photosynthesis relate to respiration? THE MATING GAME!!!! Click here for more reproduction FUN!